In Oil packaging industries, we need the films that are puncture resistant. Oil Packaging Films are the solution for all the problems as they offer good machining ability using FFS machines. Thus, opposing the leakage of oil or any other slippery products, these films are gaining popularity worldwide. We offer customers high quality oil packaging films that include extensive array including ghee & edible oil packaging films. Keeping in mind semi-liquid nature of the products, we offer films that have low leaking rates as well as excellent heat seal-ability. Keeping the track of latest happening in this domain, we manufacture and supply the premium quality of Oil Film. Available with us in various sizes and designs, the offered oil film is known for its rich attributes such as elegant design, smooth finish and high strength. 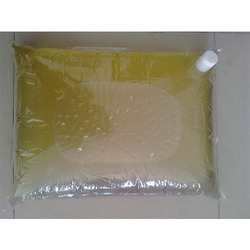 The offered oil film is used in packaging industry. We are offering our clients a comprehensive range of Edible Oil Packaging Film. 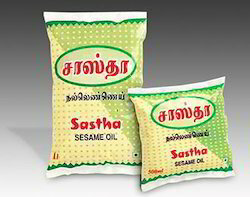 As an affluent name of this domain, we hold expertise in providing high quality Edible Oil Packaging Film.